CHICAGO — The United States Holocaust Memorial Museum will host its biggest annual philanthropic event and honor local leader Clemantine Wamariya for her work on genocide prevention and preserving Holocaust memory at the “What You Do Matters” Risa K. Lambert Chicago Luncheon on September 14. New York Times best-selling author Jennifer Teege, who wrote My Grandfather Would Have Shot Me: A Black Woman Discovers Her Nazi Past, will give the keynote address. More than 2,500 people, among them 150 area Holocaust survivors, are expected to attend the event at the Sheraton Grand Chicago. A major part of this year’s luncheon will honor the late Elie Wiesel, Holocaust survivor, Nobel laureate and the Museum’s Founding Chairman. The luncheon, which is expected to raise more than $5 million, supports the Museum’s $540 million comprehensive campaign, Never Again: What You Do Matters. The Museum is making critical investments to keep Holocaust memory alive as a relevant, transformative force in the 21st century. Among the key investments is the construction of the David and Fela Shapell Family Collections, Conservation, and Research Center, set to open next year. 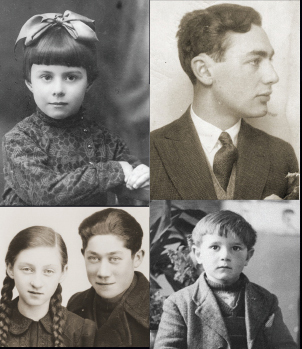 The center will house the collection of record on the Holocaust — artifacts, documents, and photographs collected from Holocaust survivors and their families and others — and serve as a vital hub in furthering Holocaust scholarship. This year’s luncheon is being chaired by Linda Levinson Friend and Bill Friend of Lincoln Park; their families have been loyal supporters of the Museum since before the Museum stood on the National Mall. At the luncheon, the Museum will be awarding its National Leadership Award to Wamariya, a human rights advocate and social entrepreneur whose involvement with the Museum began as a sophomore at New Trier High School. The 28-year-old will be the youngest recipient of the National Leadership Award, which are presented to outstanding individuals, foundations, or corporations in recognition of their exceptional contribution to benefit the community in ways that advance the values and mission of the Museum. Past Chicago honorees include Alice and the late Robert Abt (2015); Fern and Manny Steinfeld (2014); and Ann Wolk Krouse and Paul Krouse (2013). Wamariya survived the 1994 genocide in Rwanda and spent the following six years with her sister, Claire, in refugee camps before coming to Chicago in 2000. As an eighth-grader, she wrote an essay on why Wiesel’s memoir Night remains relevant in today’s world; hers was one of 50 winners of Oprah Winfrey’s high school essay writing contest. As an undergraduate at Yale, Wamariya was involved in several human rights and genocide intervention activities, as well as the Yale Refugee Project. In 2011, the then-24-year-old was appointed by President Barack Obama to the United States Holocaust Memorial Council, the Museum’s governing board. Wamariya is the youngest person ever to have served in this role. Detailed in her memoir, Teege, the luncheon’s featured speaker, made a shocking discovery that her grandfather Amon Goeth was the brutal Nazi commandant of the Plaszow concentration camp. Goeth was portrayed by actor Ralph Fiennes in the film Schindler’s List. The daughter of a German mother and Nigerian father, Teege was placed in a children’s home when she was four weeks old. She was in her late 30s when she first learned of her family’s complex history. Tickets to the September 14 luncheon begin at $250 per person. Holocaust survivor admission is waived. Guests can RSVP online at www.ushmm.org/events/2016-chicago-luncheon. To learn about event sponsorship opportunities, please contact the Museum’s Midwest Regional Office at 847.433.8099 or midwest@ushmm.org. The “What You Do Matters” Risa K. Lambert Chicago Luncheon is also supported by dedicated vice chairs Jodi Block and Barry Malkin; Danielle Rudas Goodman and Jordan Goodman; Leonard Goodman; Scott Goodman; Dana Hirt; Andrea Kott and Mark Levine; Cari and Michael Sacks; Julie and Kenneth Sacks; Jamie Diamond Schwartz and David Schwartz; Kathy and Ken Tallering; and Ronna and Steven Zoll. The luncheon’s corporate chair is John Bucksbaum, founder of Bucksbaum Retail Properties, LLC. Media inquiries should be directed to Orly Telisman at orly@orlypr.com or Raymund Flandez at rflandez@ushmm.org. To download photos of this year’s luncheon speakers, go to: https://flic.kr/s/aHskDDc7v9. Photos of last year’s luncheon can be accessed here: https://flic.kr/s/aHskjdmiGq. 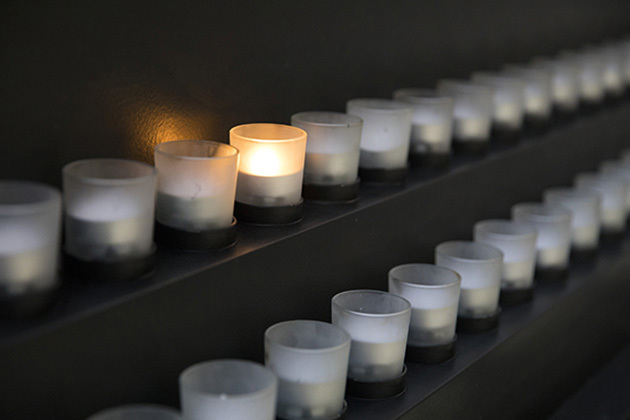 Through its national campaign Never Again: What You Do Matters, the Museum seeks to make critical investments to keep Holocaust memory alive as a relevant, transformative force in the 21st -century. The $540 million comprehensive goal includes building a stronger endowment, increased annual fund, and new collections, conservation and research center. Visit www.ushmm.org/campaign to learn more about how you can join us in this urgent effort.